Location: 360 metres on a bearing of 26° from John Young Gate. 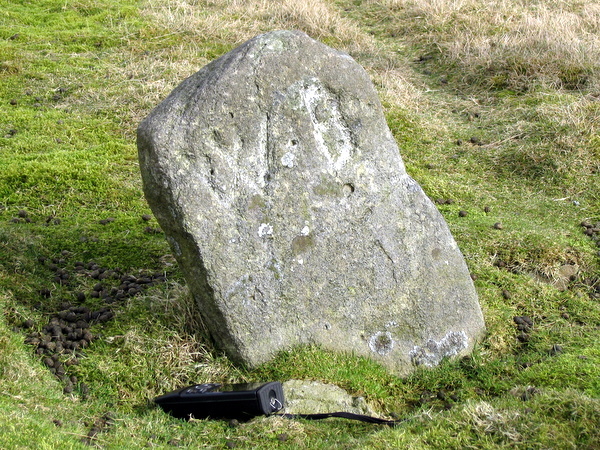 This is a small, fairly insignificant stone, probably marking the boundary of one of William Bagshaw's leases marked on the Brailsford survey of 1781 - probably the south-east corner of the meer adjacent to the Minikin & Co meer. 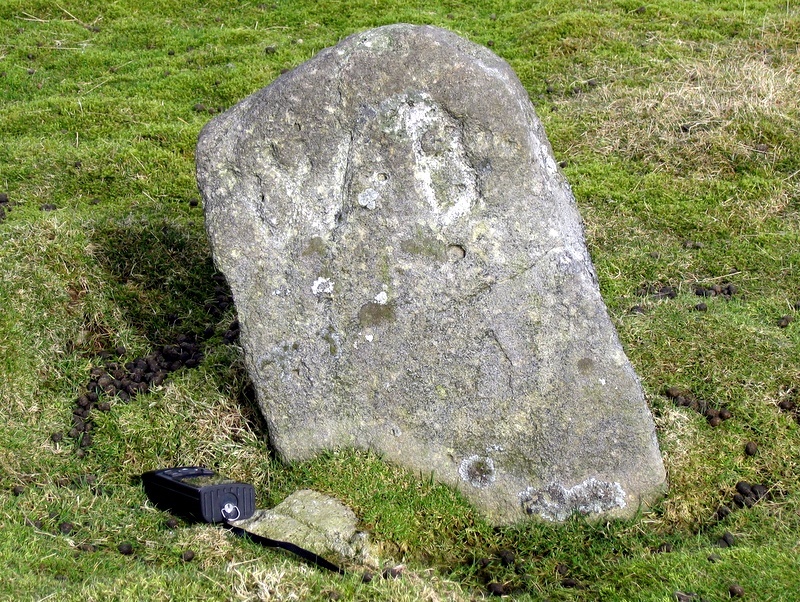 The lettering on this stone is remarkably similar to the lettering on the other stone initialled WB. It is known that a lease was granted in 1774 for 21 years by William, Duke of Devonshire, to William Bagshaw of Coats Hall in Derbyshire of mines on Grassington out Moor.